I obtained my PhD in Computer Science from the University of Caen in 2006 under the supervision of Brigitte Vallée. 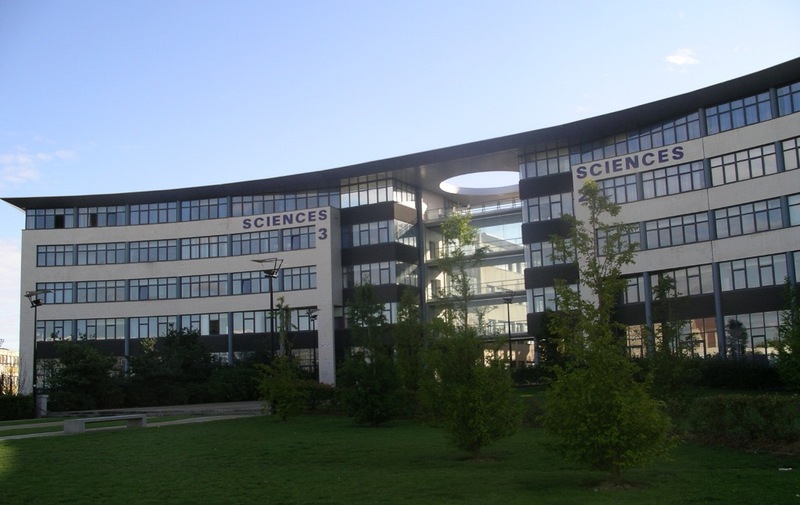 Since 2007, I am assistant professor in the GREYC research laboratory and at the ENSICAEN (National school of engineering). My research in the AmacC team focuses on the probabilistic analyses of algorithms in various domains: Euclidean algorithms, Information Theory, pattern mining, hypergraphs, lattice reduction algorithms. A large part of the results are obtained using the dynamical analysis methodology developped around Brigitte Vallée that combines tools from analytic combinatorics (developped around Philippe Flajolet) and from dynamical systems. V. Berthé, L. Lhote et B. Vallée. ISSAC '16, Proceedings of the ACM on International Symposium on Symbolic and Algebraic Computation, pages 87-94, ACM New York, NY, USA, 2016. A probabilistic analysis of the plain multiple gcd algorithm. J. Clément et L. Lhote. Analyse d’algorithmes : calculs de PGCD et algorithmes de tri et de recherche. École des Jeunes Chercheurs en Informatique-Mathématiques (EJCIM’2014), pages 81–143, 2014. V. Berthé, J. Creusefond , L. Lhote et B. Vallée. Multiple gcds. probabilistic analysis of the plain algorithm. Dans Proceedings of the 38th International Symposium on Symbolic and Algebraic Computation, ISSAC ’13, pages 37–44, ACM New York, NY, USA, 2013. Regularity of the euclid algorithm ; application to the analysis of fast GCD algorithms. Journal of Symbolic Computation, 44(7) :726 – 767, 2009. International Symposium on Symbolic and Algebraic Computation. Algorithmica, 50(4) :497–554, Mars 2008. E. Cesaratto, J. Clément, B. Daireaux, L. Lhote, V. Maume-Deschamps et B. Vallée. Analysis of fast versions of the Euclid Algorithm. Dans Proceedings of ANALCO/ALENEX’2007, pages 271–283, 2007. L. Lhote et B. Vallée. Sharp estimates for the main parameters of the euclid algorithm. Dans José R. Correa, Alejandro Hevia, and Marcos Kiwi, editeurs, LATIN 2006 : Theoretical Informatics, volume 3887 de Lecture Notes in Computer Science, pages 689–702. Springer Berlin Heidelberg, 2006. Computation of a Class of Continued Fraction Constants. J. David, L. Lhote, A. Mary et F. Rioult. An average study of hypergraphs and their minimal transversals. Number of frequent patterns in random databases. Christos H. Skiadas, editeur, Advances in Data Analysis, Statistics for Industry and Technology, pages 33–45. Birkhäuser Boston, 2010. L. Lhote, F. Rioult et A. Soulet. Average number of frequent (closed) patterns in bernouilli and markovian databases. Dans Proceedings of the 5th IEEE International Conference on Data Mining (ICDM 2005), 27-30 November 2005, Houston, Texas, USA, pages 713–716 (papier court). Average number of frequent and closed patterns in random databases. Dans Proceedings of CAP 05, Conférence francophone sur l’apprentissage automatique, Nice, France, pages 345–360, 2005. V. Girardin, and L. Lhote. Rescaling Entropy and Divergence Rate. Rescaling entropy and divergence rates. IEEE Transactions on Information Theory, Volume 61, pp. 5868–5882, 2015. L. Lhote et M. Lladser. Toward the asymptotic count of bi-modular hidden patterns under probabilistic dynamical sources : a case study. Discrete Mathematics & Theoretical Computer Science Proceedings, Proceedings de AofA’2012, pages 425–452, 2012. Computation and estimation of generalized entropy rates for denumerable markov chains. IEEE Transactions on Information Theory, 57(7) :4026–4034, 2011. J. Clément, L. Lhote et B. Vallée. Exemples d’analyses d’algorithmes en Arithmétique, Théorie de l’Information et Fouille de Données. Algorithmes du PGCD et Fouille de Données : le point de vue de l’analyse dynamique. Thèse en Informatique de l’Université de Caen Basse-Normandie, 2006. I was co-advisor with Brigitte Vallée and Julien Clément of the PhD Thesis of Mariya Georgieva (defended in December 2012) « Analyse probabiliste de la réduction des réseaux euclidiens cryptographiques ». © 2017 Loïck Lhote. All rights reserved. Powered by the Academic theme for Hugo.